Tempo was designed by Naoto Fukasawa for Magis. 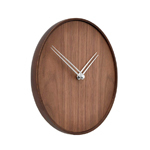 The wall clock convinces with its minimalist form speaking like nearly all of the products designed by the popular Japanese designer. 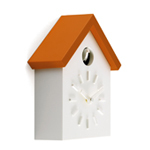 The battery-powered wall clock is manufactured out of an on-off injection method ABS-plastic. It is available in four variants: pointer and frame in brown, black, grey and orange (the dial is constantly white). 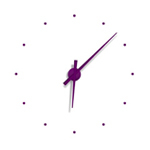 The Tempo wall clock from Magis was presented on the Milan fair in the year 2010 for the first time and it is produced since 2011.